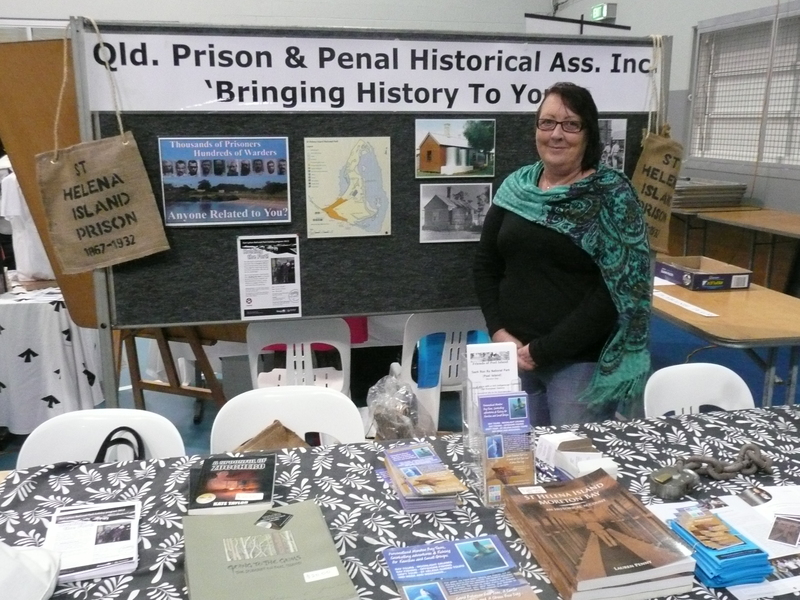 This entry was posted in Blogging, Seminars and tagged blogging, St Helena, Unlock the Past Expo 2012 by cassmob. Bookmark the permalink. Fantastic report of what was clearly an amazing Conference… thanks Pauline. Thanks Pauleen, I love hearing about the various conferences and gatherings which are on all over Australia. Thanks Kylie, a subjective opinion of course but I really enjoyed having the chance to be there for a while. Great wrapup Pauline, and thank goodness for the coffee man. He stopped me from freezing to death! Yes, they made really good coffee in the back of that vehicle! It was sure popular in the cold weather just not enough breaks to have time to drink it. Amen to that Tanya! He was exhausted on Monday as he was on his own. Hopefully he turned a good profit. I think we were all wishing we had more time to chat Cassie but it was fun to just meet people anyway and hear the talks. 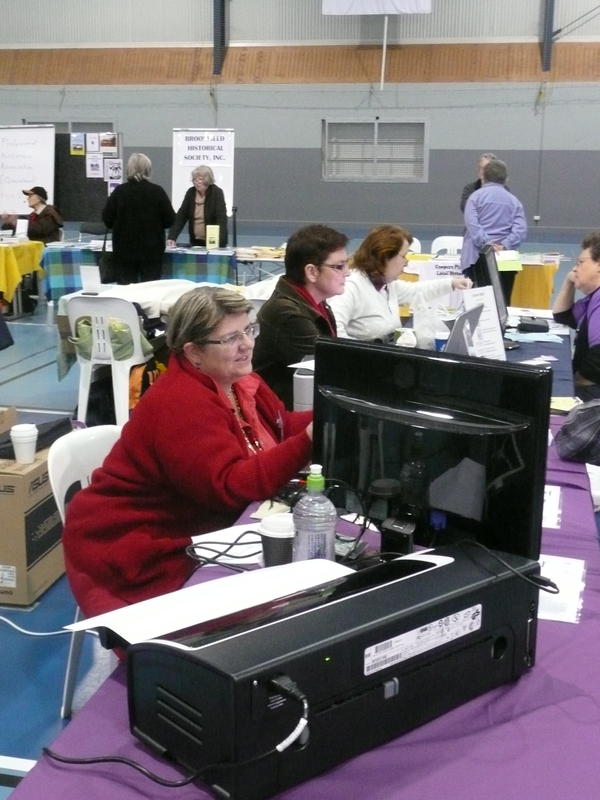 I wish I could have spent more time with you, Pauleen, and all the other genealogy bloggers and Kiva team members. I was especially pleased to meet Tanya at last. I was interested to read your thoughts on the Expo. 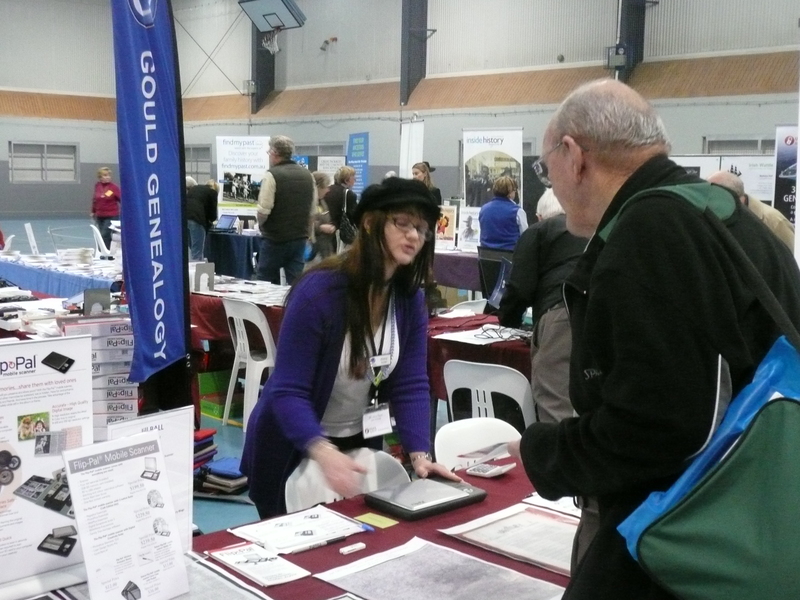 Mine are in Brisbane’s History & Genealogy Expo: a Warts-and-All Report on my Queensland Genealogy blog. There’ll be other chances Judy but it was good to say hello briefly. I’m so far behind with my blog reading it’s ridiculous. Sorry we didn’t provide the sunshine for you, but I’m so glad you could get to the Expo… pity we couldn’t catch up… maybe soon? Lovely day here today and yesterday. Don’t think we’ll manage this visit Chris.